The window decal displayed for Freelenz Photography includes a logo, phone number, and business information on a clear background. I am an energetic, creative passionate photographer and artist. Maria Trujillo of Freelenz Photography and the Red Chair Studio. I do commercial and retail photography, graphic design and fine art. This is a long time dream… for years I had a family to provide for and I was told since a child that I needed something more substantial than photography and art to make a good living. I listened, so I provided for my family [while working] in the architecture field for over 15 years. Now that the kids are adults I wanted to give it [photography] a shot. I went back to school, where I was constantly discouraged to pursue this dream; I was told on a daily basis that the field is oversaturated and it is very competitive, and that it almost will be impossible to succeed. However, since I do not have the responsibilities I used to have, the discouragement is just music in my ears, I am one of those kids… when they are told not to do something that is exactly what they are going to do with a huge grin of defiance. My personal style, I have a very unique approach to see and capture images. Even when plagiarism takes place, and the same idea multiplies like a mushroom, I usually come up with something new. Maria Trujillo’s work on display in the Red Chair Studio. Word of mouth [marketing] and there’s nothing like a satisfied customer and also by being active in social media, advertising and marketing – I am being seen [online] and people started to know me – I am not going away, and every day I do or invest more into my dream [social media] account. Every day I do something toward gaining more knowledge, ideas, techniques, advertisement, etc. Instagram, Facebook, freelance companies, bidding companies, local magazines, art galleries, social meetings and events, free charity events, always expanding. Have you seen any particular method of social media be more effective for you? Not really, Instagram and Facebook are the most efficient ones for putting the word out. The most challenging part of my business in regards of customer acquisition is the town where I live (with a population of 6,000) is a resort town with very little income, lacking well-paid jobs, the town itself does not support businesses. So I expand beyond the town finding clients internationally and from other areas, as I can provide many different services until I find my niche. I do not compete (that will destroy my creativity) I am the little engine… remember the little kid’s book? I think I can, I think I can, and soon I know I can. Every day I get better and every day I grow. I know it takes time and patience. Technology changing constantly and not being reliable, everything these days requires subscriptions, the learning curve is endless, when you think you know something is already obsolete, so time and money are very important when you start, every day is an investment. Have you found any challenges come from camera equipment and editing software always changing with new technology always coming out? Yes, I am constantly educating myself and learning how to use equipment and constantly solving problems and conflicts created by updates, making items obsolete and forcing you literally to spend more unnecessary money, it is a constant battle. Do not be afraid, follow your dreams, enjoy what you do. Work every day toward your craft, dream, etc. By being the best I can be, and by carefully listening to their needs. What’s your favorite photography experience or photo you’ve taken because of this? Often after I reveal their photos, especially shooting photographs of newborns, families or weddings when I see tears in their eyes. The sky’s the limit and I am very open to whatever comes my way. What’s something that you’ve learned that you didn’t know when you first started your business? Oh gosh! Every day I learn something new with every single photo I take. Editor’s Note: Thanks to Maria for sharing her journey as a photographer and small business owner! 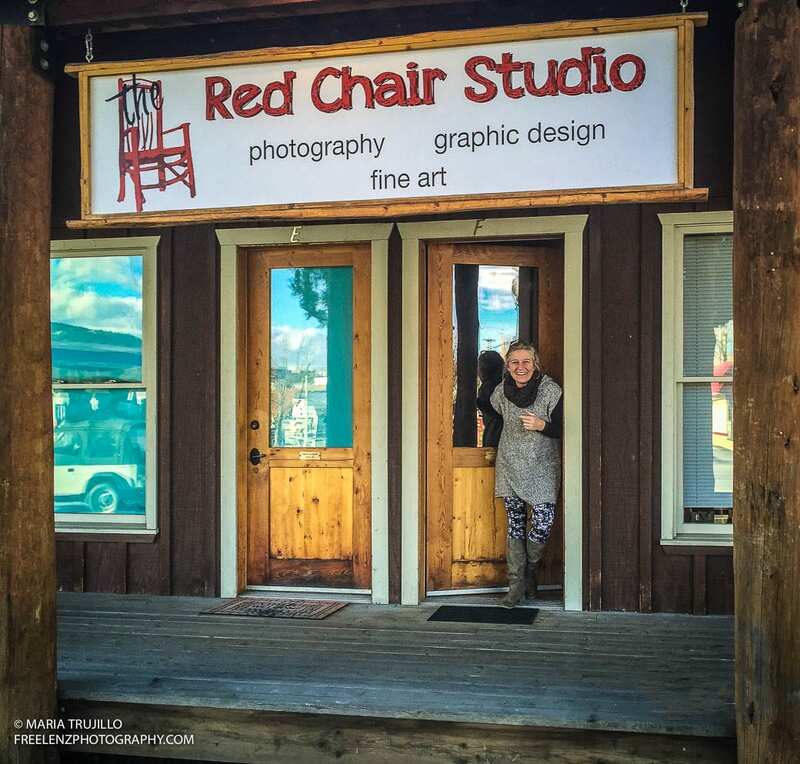 She went against criticism and discouragement to pursue her dream of photography, turning her passion into a growing business in Sandpoint, Idaho. Growing a business in a small town requires Freelenz Photography to rely on word of mouth marketing and social media to advertise and build a following both locally and internationally. 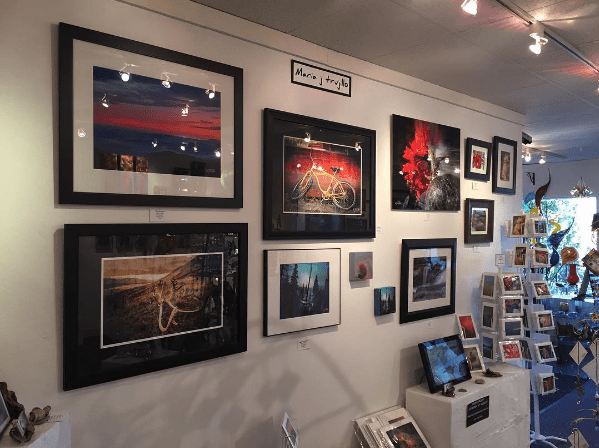 Investing time into her social media account, local magazines, and events have also helped to transition her passion into a successful photography gallery. Maria, we wish you the best of luck in growing your gallery and bringing your photography to the world!